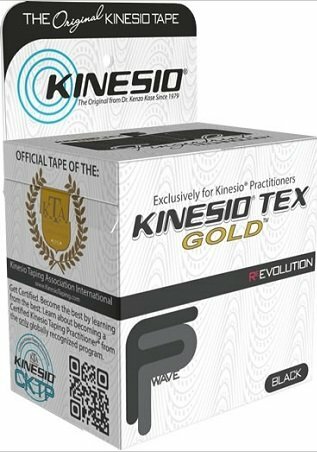 With over 25 years of research, development and clinical use, Kinesio Tex Tape Gold, with the original wave-pattern adhesive design, has become the standard in elastic therapeutic taping. Kinesio Tex Tape Gold offers a gentle and effective approach to re-education of the neruromuscular system while also improveing blood/lymph circulation, relieving pain and providing comfort and stability for your patient care needs. Ideal for patellofemoral treatment, shin splints, plantar fasciitis, rotator cuff injuries and carpal tunnel syndrome. Kinesio Tex Tape Golds 2 design is our most versatile size of tape. The 2 design is perfect for your average sized patient and is easy to use for all four of our most common taping strips (I strip, Y strip, X strip and Fan strip). Our 2 tape is perfect for taping applications all over the body. If you have any questions about this product by Kinesio, contact us by completing and submitting the form below. If you are looking for a specif part number, please include it with your message.